In 17-0756, Double Eagle Development LLC v. Apache Deepwater LLC, Double Eagle Development petitioned an appeal to the Texas Supreme Court. Petition denied in Ranbaxy, et al. v. Signature Pharmaceuticals, et al. In 18-0371, Ranbaxy Inc., et al. v. Signature Pharmaceuticals LLC, et al., Ranbaxy, et al. petitioned an appeal to the Texas Supreme Court. In 18-0671, Caroline Casterline petitioned an appeal to the Texas Supreme Court in a case against OneWest Bank FSB. In 18-0723, Femi and Christy Onabajo petitioned an appeal to the Texas Supreme Court in its case against Wilmington Savings Fund Society. The Texas Supreme Court will hear the case of Ruben Aleman, M.D. vs. Texas Medical Board at 9 a.m. on Tuesday, Jan. 22. The Texas Supreme Court will hear the case of Dallas/Fort Worth International Airport Board v. Vizant Technologies LLC at 9 a.m. on Tuesday, Jan. 22. 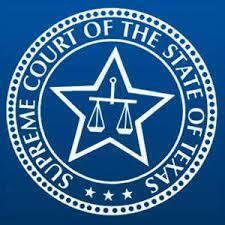 The Texas Supreme Court will hear the case of Texas Mutual Insurance Co. v. Bertila Chicas at 9 a.m. Tuesday, Jan. 22. The Texas Supreme Court will hear the case of PHI Inc. v. Texas Juvenile Justice Department at 9 a.m. Wednesday, Jan. 23. In 18-1179, Ramer Concrete Inc. v. Juan Cardona, Ramer Concrete sent a notice of appeal to the Texas Supreme Court. In 18-1165, D.C. and K.C. v. Texas Department of Family and Protective Services, D.C. and K.C. sent a notice of appeal to the Texas Supreme Court. In 18-1158, Samara Portfolio Management LLC and Joseph Onwuteaka v. Neda Zargari, Samara Portfolio Management LLC and Onwuteaka sent a notice of appeal to the Texas Supreme Court. Texas Supreme Court to hear Patricia Mosley v. Texas Health and Human Services Commission, et al. The Texas Supreme Court will hear the case of Patricia Mosley v. Texas Health and Human Services Commission and Texas Department of Family and Protective Services at 9 a.m. Wednesday, Jan. 9. The Texas Supreme Court will hear the case of Dallas Symphony Association Inc. v. Jose Reyes at 9 a.m. Thursday, Jan. 10. Texas Supreme Court denies petition in AIC Management v. AT&T Mobility, et al. In 18-0715, AIC Management Co, v. AT&T Mobility LLC, Reddy Greensbrook LTD, Arete Real Estate & Development and Muduganti Reddy; AIC Management Co. petitioned an appeal to the Supreme Court of Texas. In 18-0726, Recillia Johnson v. Compass Bank, Johnson petitioned an appeal to the Supreme Court of Texas. In 18-0754, Rosa Maria Hanash v. Walter Antiques Inc. and Nancy Walter, Hanash petitioned an appeal to the Supreme Court of Texas. In 18-0897, Brian E. Vodicka v. A.H. Belo Corp. and Eric Vaughn Moye, Vodicka petitioned an appeal to the Supreme Court of Texas. In 18-1004, Jerome J. Isaac and Michelle P. Isaac v. Citimortgage Inc., the Isaacs petitioned an appeal to the Supreme Court of Texas. 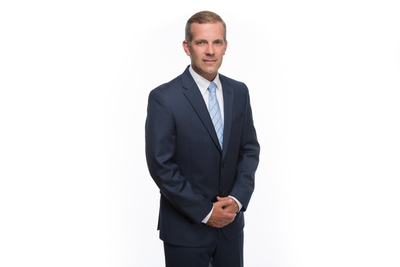 In 18-1148, HRB Oil & Gas LTD and VHPM LLC v. Peregrine Oil & Gas LP, HRB Oil & Gas and VHPM LLC sent a notice of appeal to the Texas Supreme Court. In 18-1143, English Law Group PLLC v. Medinet Investments LLC, English Law Group sent a notice of appeal to the Texas Supreme Court.